Adwa is one of the most ancient towns in Ethiopia. 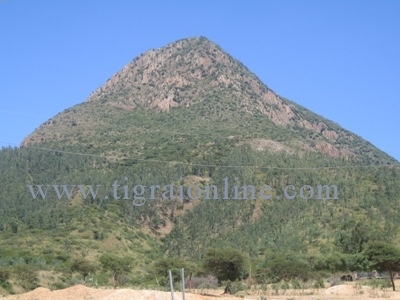 Situated on South East of the Soloda Mountain, where the River Assem joins River May Guagua, both being outflows from opposite ends of Mount Soloda, Adwa is founded on a fairly even and flat ground. It most probably is the availability and abundance of fresh water in these rivers, which must have attracted early people to settle here. As the crow flies, Adwa is barely ten miles from Axum. The winding and dusty road, however, stretches some 25 Kilometers, or twelve to thirteen miles distance. No one seems to know the true meaning of the name “Adwa”. Some say it is a combination of two words: Adi – meaning town or land, and wa’ – meaning beware! So, they interpret: “land or town to beware of”. That is pure conjecture that may or may not be true. In reality however, no legend or oral history has survived that tells us of how, when, or by whom Adwa was founded and given such a name, or what the name really means. From its close vicinity to Axum it is reasonable to surmise Adwa was founded very soon after Axum became the center of Ethiopia and the political powerhouse of the land. Adwa probably started as a hunting excursion stop for an Imperial entourage, or possibly as an army extension or garrison town for an Imperial force. Unlike Axum, which gets its water from flood run-offs, Adwa was blessed with an abundance of year-round fresh water from the two rivers named above, which flow from Mount Soloda. The oldest ruins in Adwa are to be found near Enda Giorgis, an old church North West of Adwa, and to the south of Bloko, a smaller town about three kilometers away, on the road to Axum. These ruins, legend tells us, are all that is left of what once used to be a palace of Queen Sheba. These ruins and the legend is the basis for the theory that Adwa was founded as an extension of Axum and an Imperial hunting and watering stop. Please read the whole series in the following articles.